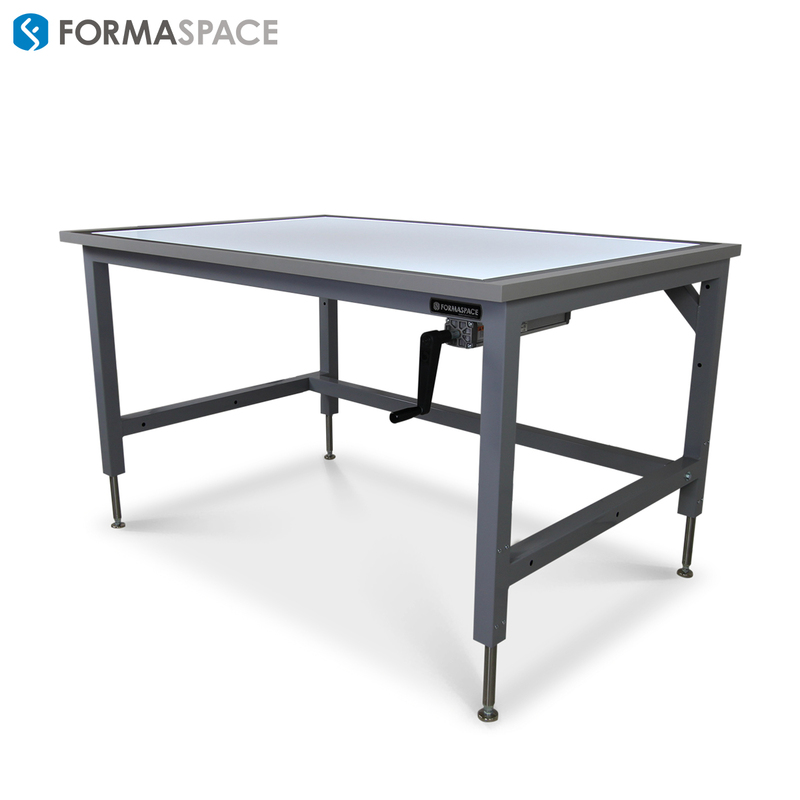 Once upon a time, the drafting desk (https://formaspace.com/professional-drafting-tables/) reigned supreme as the one piece of furniture you could always count on spotting in nearly every engineering department or architectural office across the land. But, within a single generation, most of our drafting tables were gone, discarded to history like their outmoded companions, the slide rule. Student architects need to start out learning CAD software (rather than hand drawing/drafting skills) in order to keep up with the latest technology. With the advent of CAD software, furniture designed to accommodate computers, mice, and monitors should be moved in while traditional drafting tables for pencil and paper should be moved out. *In reality, it took several years for PC-based CAD software to match the capability of traditional hand drafted drawings. For example, the most popular CAD system, AutoCAD, didn’t have the capability to manage very large format production drawings (commonly used in aircraft design, for example) until the introduction of the Paperspace feature in 1990. Computer Versus Hand Drawing on Drafting Tables: Who is Right, Who is Wrong? So who is winning the argument? If you look purely at the financial numbers, you’ll find that Autodesk, the makers of AutoCAD software, is now a 2.5 billion dollar company with a claimed 120 million users. But in 2017 that may be a little beside the point. Sure, the introduction of CAD software ushered millions of drafting tables into early, unplanned obsolescence. Admittedly, we have recent generations younger engineers, architects, and designers who don’t know how to properly sharpen a pencil, much less master the use of a T-square or a drafting machine. But ironically, thanks once again to technology, the gap between the worlds of traditional drawing and CAD software is closing fast. The latest iterations of computer styluses with super sensitive pressure activation are ushering in the return of the halcyon days of sketching and drawing. Many professional graphic software packages now emulate the ‘feel’ of designer pencils, paper surfaces, and artist brushes. And, lo and behold, today we have high-end hardware, like the glorious 27” inch Cintiq from Wacom, which allows you to draw at full speed directly on the surface of its brightly illuminated glass computer screen. So Why are Drafting Desks Tilted Anyway? Just as many artists and designers are rediscovering the joy of drawing, there’s also been increasing interest in traditional drafting desks. But there’s one question that we’re beginning to hear from those who did not grow up with using drafting tables: Why is the work surface of a drafting table tilted? Is it because it’s more comfortable? Or is it something else? The reason drafting tables are tilted is due to their evolution in furniture history, the limits of our physical reach (ergonomics), and our ability to see (visual perception). Trying to set up a room for creativity? Here are things you must buy!